"In the almost 20 years that I’ve known Dusty, I’ve experienced a man passionate to love God, his family and others well. I’ve experienced Dusty’s personal strength and wisdom in my own life and in leading men and women in our ministry, many of those older and more seasoned than him. I can heartily recommend Dusty as a counselor, speaker, and leader. 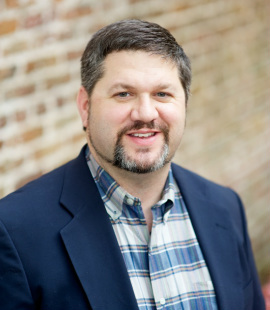 Dusty is a nat﻿ive﻿ of ﻿Thomasville, GA﻿ who, prior to starting Kalon Christian Counseling, served 13 years in vocational ministry including 10 years as a Student Pastor and 3 years as the Men’s Ministry Director of ﻿Wellspring Group﻿. ​He has a Masters in Counseling and a Masters in Theological Studies from ﻿Reformed Theological Seminary﻿ (Orlando, FL). In addition to his formal training and experience, he has been significantly shaped by the teachings and writings of Henri Nouwen, Dan Allender, John Eldridge, Larry Crabb, Dallas Willard, and David Benner. Having experienced the power of Gospel transformation through deep, soul satisfying relationships, Dusty’s passion for counseling and spiritual direction comes from the springs of his own emotional and spiritual struggle.